It’s almost Mother’s Day! This means it’s that time of year to thank mom for her hard work in managing the everyday life of a family with a bigger and clearer connection to everything important to her. See where we are going here? If she had a phone like the LG Optimus G Pro with its 5.5″ 1080p display, quad-core processor, multi-tasking capabilities, and brilliant 13MP camera, she could maintain her amazing motherly self in a much more efficient manner. Or she could simply rock out with a sweet new smartphone that’s probably better than yours. Either way, we have one to giveaway thanks to our friends at AT&T. Think of this as the best Mother’s Day present you could possibly give to mom this weekend, whether she’s in need of a new smartphone or not. All in One for Mom: The LG Optimus G Pro is a phone and tablet in one with a size that easily fits into any purse. Mom can make calls, and the phone features a near-tablet size display, which is great for viewing videos, ebooks, web sites and documents. The large display also makes using on-screen touch keys easier to use. Super Vivid Full HD Display: Mom can view her favorite Pinterest pages, read the latest New York Times Best Seller, catch up on the Real Housewives through Netflix, share movies with the kids, or chat it up with friends with larger, clearer and detailed viewing on the first 5.5” Full HD display in the U.S.
13MP Camera with cool features: Mom can capture family moments, vacations and dinner parties with super clear still images thanks to features like VR Panorama, Time Catch Shot, & Cheese Shutter. Plus, video recording has never been better with Full HD videos that include features like dual recording, audio zoom and live shot. Does your mom have Small Hands? 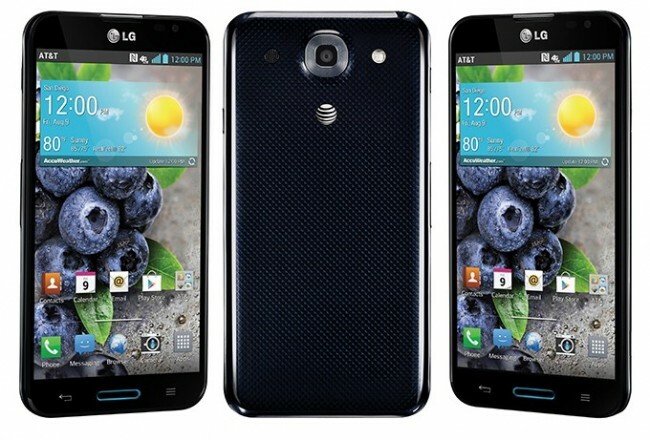 No Worries: The LG Optimus G Pro includes Near-Zero screen bezel for narrow grip, one-handed operation and “ grab-able size. Update: We have our winner. Mr. Rhodus, go check your email! Thanks everyone for entering. Prize: 1 (one) LG Optimus G Pro from AT&T. 1 (one) winner will be chosen at random on Friday, May 10 at 11:00AM Pacific. Tuesday Poll: Do You Care About Google Glass?